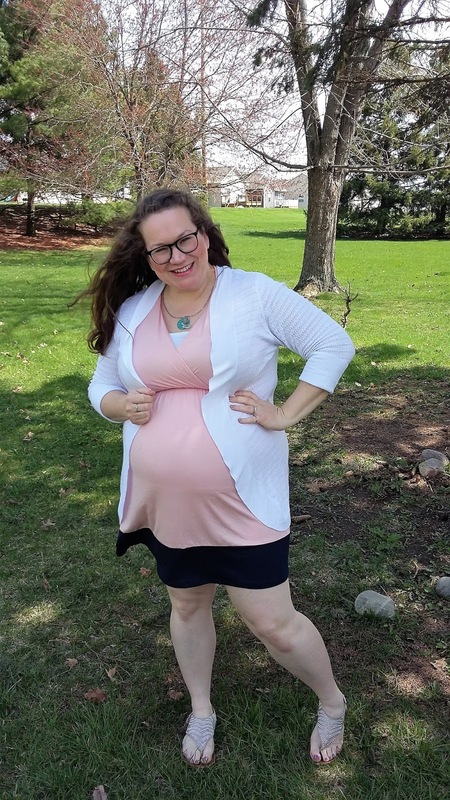 Once I became a mom the most curious thing began to happen to my shirts and dresses: one by one they all began to form small holes on my belly. I have heard several theories as to why this happens: it's where the jeans hit the counter, it's from doing dishes at the sink, it's a mystery that will only be revealed in Heaven. All I know is that eventually they all succumb to the hole and my wardrobe needs the occasional refreshing. With Easter approaching I wanted to find something new to replace older dresses with holes. I also wanted something not black, which is generally my go-to color. My friend Jacqui mentioned a trendy online boutique called PinkBlush and because Jacqui's sense of style is on point I immediately googled that baby. I was totally impressed. Along with having super cute clothes that would look fabulous on 2006 Bonnie, they also have clothes to fit 2017 Bonnie and cute maternity clothes. Plus they include the measurements for the garments and the model's height, bust and hip measurements, and the size of the clothing she is wearing in the picture. I am often really hesitant to buy things I cannot try one but I had a lot of confidence because a) they had clothes in my size and b) they provided so much information that it would be hard to mess up. 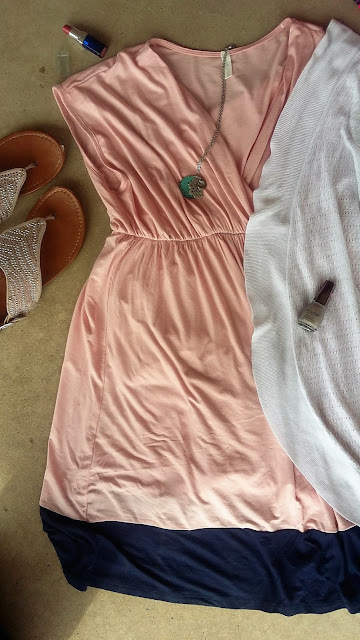 I ended up getting this light pink colorblock dress. It's so soft and so comfy. It's also lightweight and I know I'll be able to wear it to Mass or whenever I want to feel pretty throughout the summer and not be too hot. Now here's the best part: PinkBlush wanted to make sure my readers got in on the goods and so they are giving away a $75 giftcard to one of my Instagram subscribers! If you've won a giveaway from them in the last six months you will not be eligible to win now but everyone else should head over to my account and to enter! I call this "Blinded by the White" ness of my legs. Bonnie! You look so great! I love this dress! Wait?! How did I miss the announcement or is this the announcement? When is baby due?? I'm due October 30th and this will be my first autumn baby, so I'm a bit nervous about making it through the heat of summer. The top is lovely! This isn't an announcement - I always announce my pregnancies with the OKGO "Here It Goes Again" video. :) But congratulations to YOU!